If you have back pain, you should know that bodybuilding exercises can help to reduce it. We'll go over some of these exercises in this article. Back pain affects many people. One of the most popular ways people try to reduce back pain is by getting into bodybuilding or exercise. In this article, we’ll be talking about how to reduce back pain through bodybuilding. The first thing you should know is that back pain is one of the most common chronic conditions. In fact, according to the WHO, 80 percent of people suffer from back pain at some point in their lives. On top of that, the studies further state that 85 percent of cases of back pain have no known specific cause. 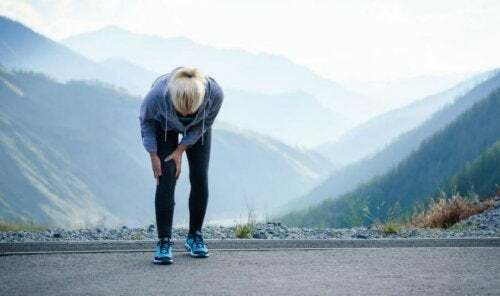 Even so, you should be aware that through physical training and bodybuilding exercises, you can reduce the most common types of muscle pain. Back pain is one such ailment that can be improved through exercise. Furthermore, you should know that bad posture, obesity, and a sedentary lifestyle are some of the initiators of back pain. While it’s true that you can reduce back pain with certain exercises, it’s important to pay attention to your form as you do them. Also, when it’s time to increase the intensity of the exercises, you should only do so gradually. Don’t forget to include a warm-up for all of your sessions. Although you should have any type of back pain evaluated by a qualified physician, certain exercises can significantly reduce your pain. Other benefits are that they can improve your range of movement and, ultimately, your quality of life. There are a lot of exercises that you can do to reduce back pain and strengthen your back. We’ve prepared a list of some of the best. Be sure to learn them and include them in your exercise routine! The first exercise to reduce back pain is the crunch. Crunches are a known way of strengthening the abdominal area, as well as the back. That’s why it’s important to include them in your training. See also: Doing Crunches – Good or Bad? In order to do crunches correctly, you should lay down on your back with the knees bent and the feet flat on the floor. Put your hands behind the back of your head. Afterward, tense the muscles in your stomach and lift your head, your shoulders, and the upper part of the back from the ground. Try to do as many repetitions as possible and don’t throw your hands forward to help yourself. Our second exercise on this list shows that using free weights isn’t necessarily bad for the back. In fact, it can make your back stronger and help with many types of discomfort and pain. In order to execute dumbbell flys, you have to lie face up on a mat with your legs bent. Keep them in this position throughout the exercise. Afterward, lift your arms straight up with the dumbbells, then drop them progressively to the sides. Whenever you get to the end of each position, stay in it for a few seconds. We recommend you complete ten repetitions in total. This third entry on our list requires you to lie down on your back with your knees bent and your feet flat on the floor. After you get into this position, bring one knee to your chest. Keep the other foot flat on the floor as you do this. Try to keep your back on the floor and hold the pose for 15 – 30 seconds. Next, lower your knee and repeat the same exercise with the other leg. Do this two to four times with each leg to finish the exercise. This exercise is great for learning to stabilize your lumbar area when you move your arms and legs. In order to execute it, start by getting on your hands and knees on the floor. Keep your abdominal muscles flexed as you go through the motions. After that, raise and extend one leg behind you, while keeping your hips level and parallel to the floor. Maintain your leg in place for five seconds and switch over to the other leg. We recommend you do eight to twelve repetitions for each leg. Try to keep your leg raised for as long as possible. While you lift your leg, you should also try to raise and extend the opposite arm during each repetition. Just like the two previous exercises, you have to lay on your back, on the ground with your knees bent. The only difference here is that your heels should be against the floor. To continue with the exercise, push your heels on the floor, squeeze your glutes, and raise your hips from the floor up to the level of your shoulders. Your hips and knees should form a straight line. Try to hold this pose for six seconds. Then, lower your hips slowly to the ground and rest for ten seconds. Repeat the exercise eight to twelve times. Remember, you shouldn’t arch your lower back while your hips move upward. Likewise, avoid squeezing your abdominal muscles before, and during the rising part of the exercise. Reducing back pain with bodybuilding is possible if you perform the right exercises. Keep in mind that warm-ups are very important before and after your sessions. The intensity of exercises should correspond to your level of experience and fitness.